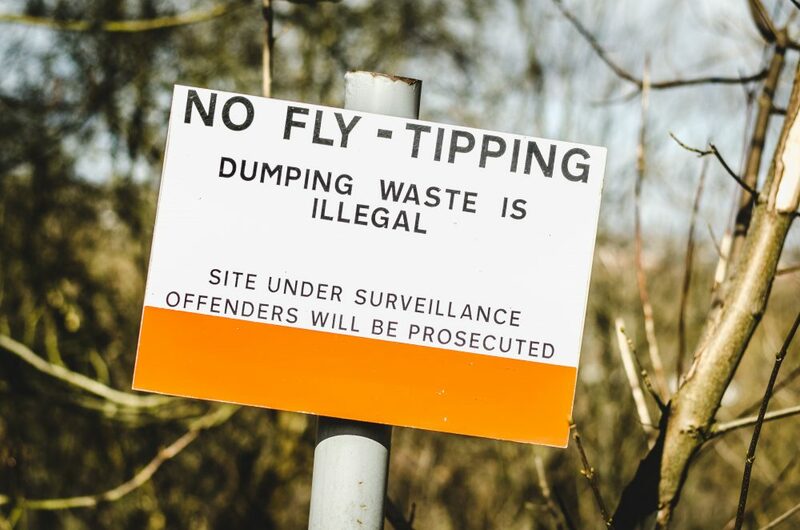 Fly tipping is unfortunately an increasing problem in the UK and even though it severe effects on the human, environmental and animal health, it is not being given enough light by the media, which could mean that it is ‘not a serious issue’. Fly tipping is dumping waste illegally, either as solid, liquid or a mixture of both. Sometimes, it can be a simple bin bag, but in most cases, it is usually a lot more than this. The worst thing about fly tipping is that it is not accidental. It is an intentional decision for someone who does not want to hire a skip and they also want to make the work of proper disposal someone else’s problem. Some is just laziness while some is the financial costs of hiring a skip. But common in both cases, it is pure ignorance! What Makes Fly Tipping a Big Issue? There are many rules, regulations and guidelines set as to how to securely and safely dispose and manage waste, while minimizing the risk and effects it will have on the environment. When fly tipping occurs, domestic and wild animals are exposed to chocking elements or being trapped in plastic materials. The human health is also vulnerable due to the toxic gases coming from the waste which poses immediate threat as well as prolonged health issues. The reputation of an area that has serious fly tipping issues can suffer a great deal. It loses it environmental beauty and becomes a great sore to the eye. The economical aspect would also suffer much because investors and business would keep away and as well, the real estate prices could drastically drop. How is it Being Handled? The government is looking into several options to come up with a solution for this problem. There has been an increase of fly tipping cases noted over the last two years and the country has to incur over 85 million pounds annually to clean up the mess. In some cases, the amount is twice as much. The government is yet to reach a conclusion as to ways in which the current systems can be reviewed. Over 930,000 cases of fly tipping were dealt with by the local authorities between 2015-2016. This figure is very close to hitting a million, which is not an interesting fact. If one if caught with a fly tipping offence, they are at risk of paying a fine of £50,000 or a jail term of one year. In Crown Court, it is possible to get a fine of an unlimited amount or imprisonment of up to five years. The fly tipping problem clearly shows the importance of being responsible while disposing off waste and it cannot get any clearer as to why you should get a skip for hire to get rid of unwanted garbage in your house or business. The environmental campaigns and green initiatives are for a greater good, and they comprise of how we carry our daily activities.